Wir begegnen dem Regen auf halber Strecke / 2017-2018 (series in process). Raindrops, ink. 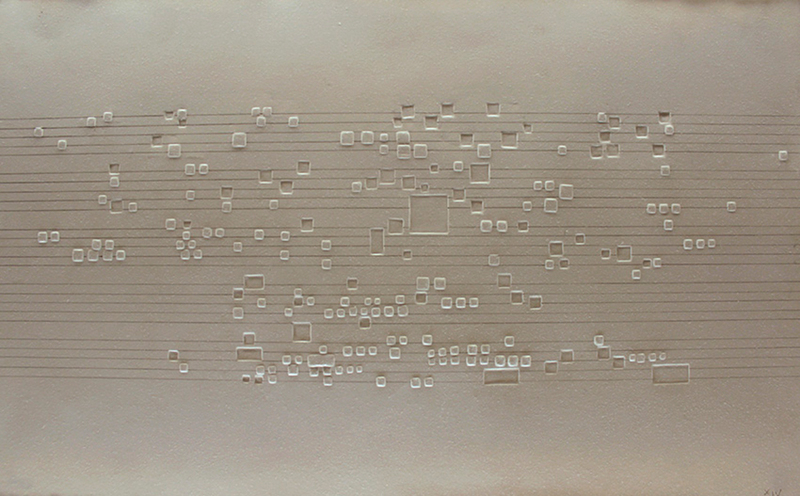 / Embossing, graphite, sound. In colaboration with Rodrigo Castillo Filomarino (composer).